This is where it all began for me�Grandfather Mountain, NC. In 1980 my grandfather, C.C. Fullagar, took me to my first Grandfather Mountain Highland Games; poetic in itself but I had no idea how important this site would be for me throughout my life. 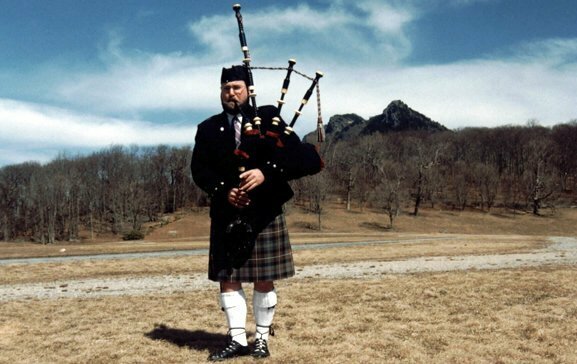 I moved onward and upward to become a Grandfather Mountain Highlander in 1984 and �popped the question� to my wife Trudy late on a Sunday afternoon in the band area in 1995. MacRae Meadow has become a sort of hallowed ground for me and the whole mountain is a very sacred place in my life. 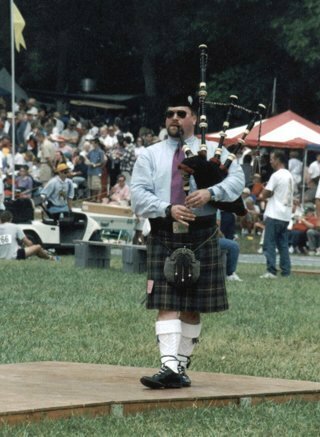 Competing at the GMHG sometime in the late 1990�s with �Matilda�, my 100+ year-old set of ebony and ivory R.G.Lawrie pipes. 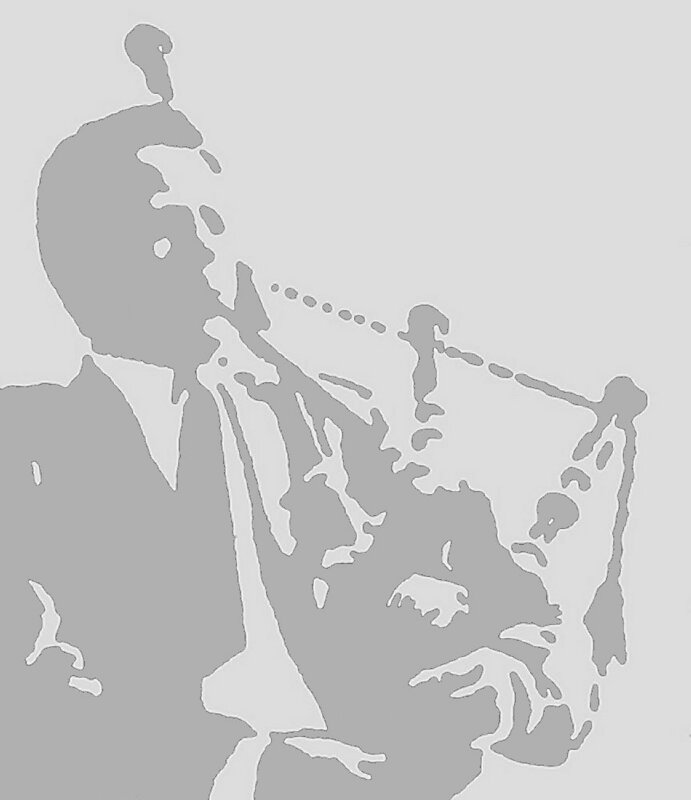 I played these pipes for 16 years, in all weathers and conditions, before retiring her in the year 2000. She now resides in a humidity controlled display case, free from being subjected to any more of the environmental stresses that ultimately lead to her demise and lead me to the decision to retire her from play entirely. 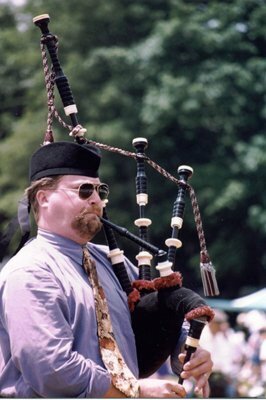 Matilda�s last stand�Winning the 2000 Grade 1 Piobaireachd competition at the G.M.H.G with the tune �Tulloch Ard (The MacKenzies� March)� no less!�and she still played on at the Sunday after party�What a way to go. 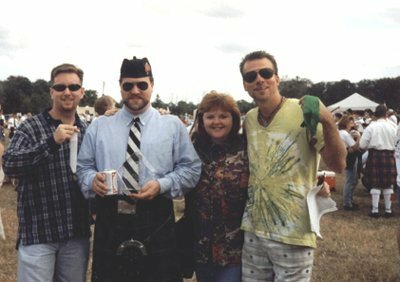 Holding a very space age 1st place trophy for piobaireachd at the Central Florida Scottish Games in Orlando with fresh Budweiser reward in hand along with my wife, Trudy and Dave Pieski, the most enthusiastic and passionate honorary Scotsman I know, who�s holding my 2nd place medal from the original tune composition contest and friend. All images �copyright by their respective owners and used by permission only.